Take me to the virtual tour! 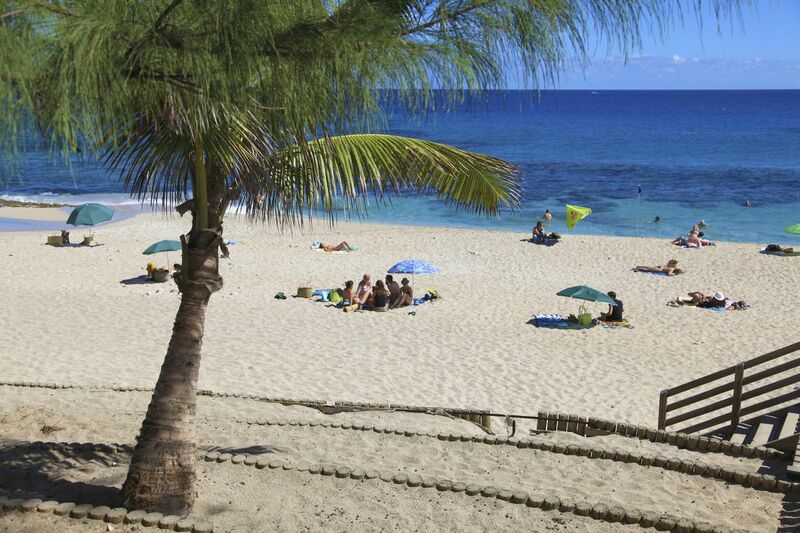 Just few minutes from the beach! 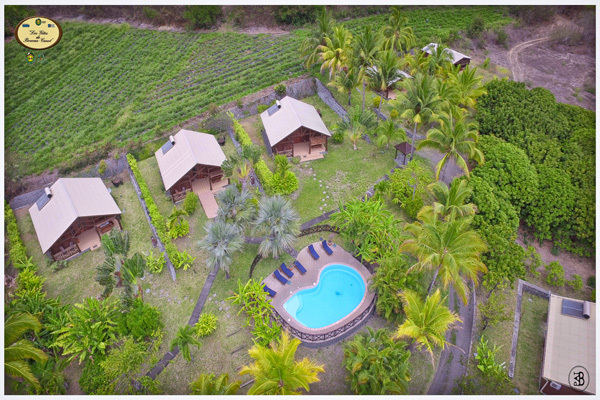 Nested in a farm of 5 hectares, we contribute our share to the tourist activity in Reunion island by proposing to our customers, bungalows of high standing, of a classification of 4 sheafs within the label “Lodgings of France” and 4 keys within the label “Clévacances”. 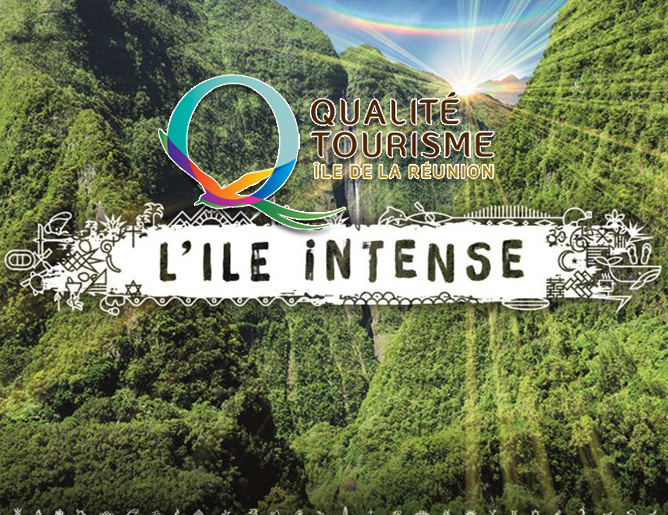 We profit from the label “Reunion Quality Tourism”, label rewarding the best services providers in tourism. 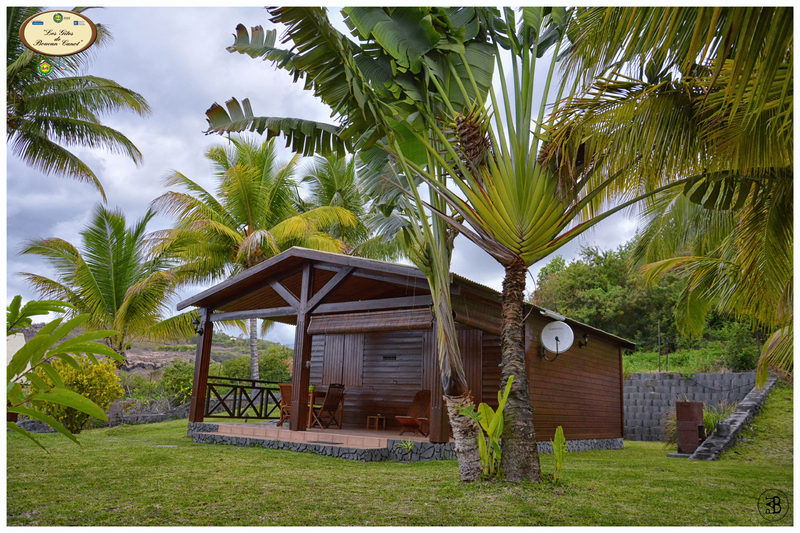 Our cosy and spacious bungalows, with a total capacity of 28 peoples, are entirely and luxuriously equipped for weekly stays, in fully independence. 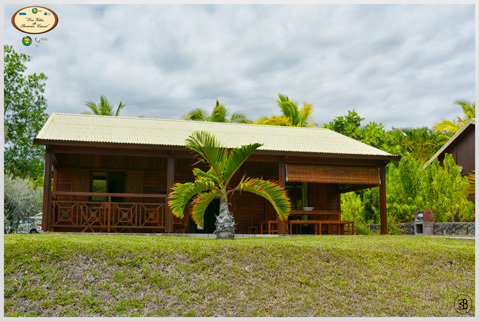 In the respect of the local créole architecture, our bungalows are equipped with creole furnitures, climatisation, household equipment, satellite channel and Wifi access. 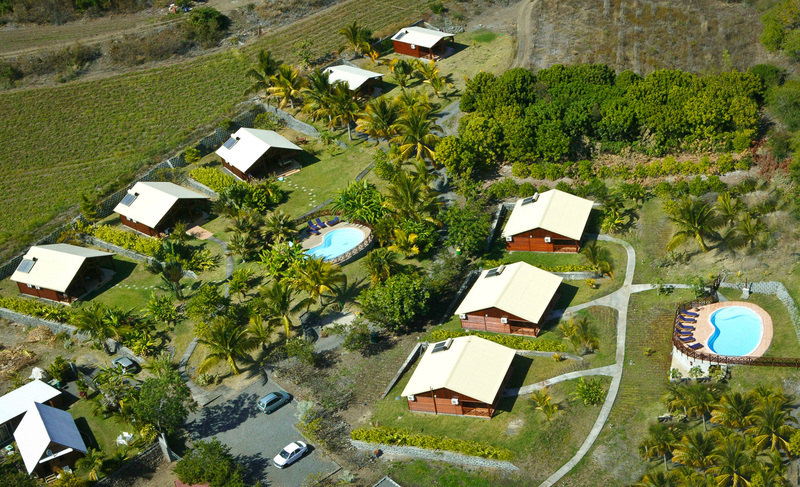 Want to see what looks like our gites ? Virtual tour in 360 degrees ! TAKE ME TO THE VIRTUAL TOUR !TAKE ME TO THE VIRTUAL TOUR ! Total capacity of 28 peoples. 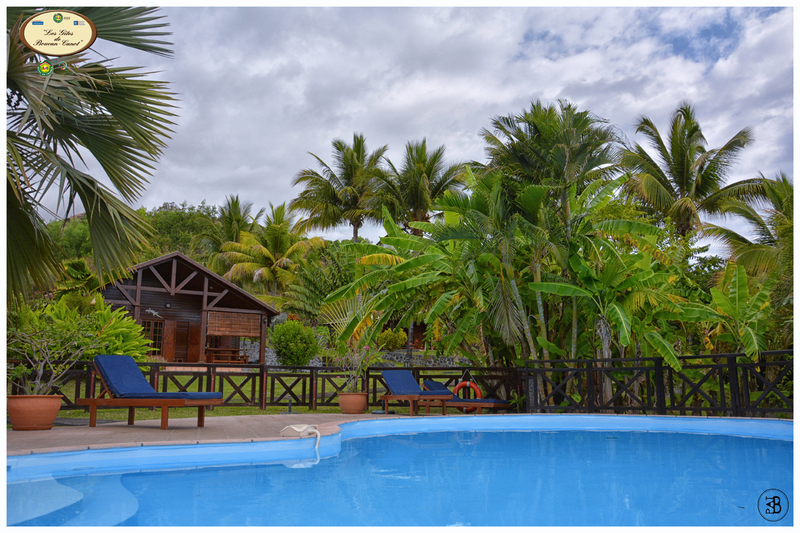 Spacious and fully equipped bungalows. 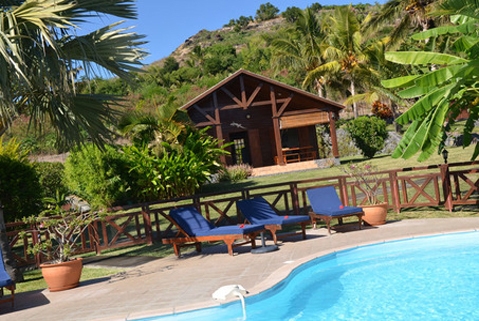 Each bungalow is established on a plot of approximately 500m2, separated by vegetables barriers. 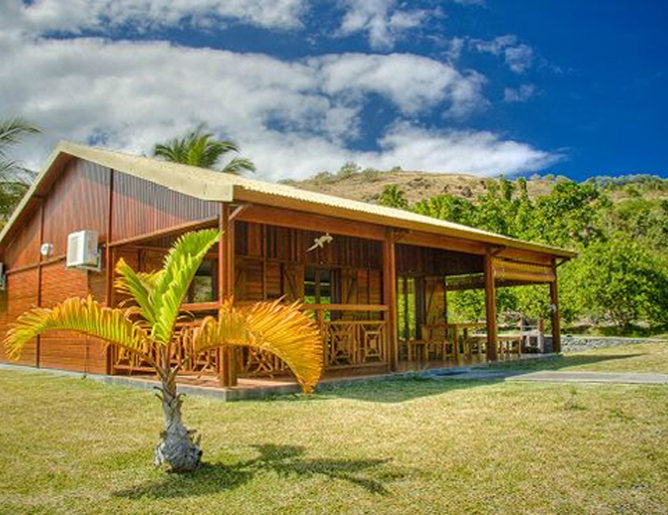 They are completely made of wood with a large harangue and scrupulously respects local creole architecture. They are entirely and luxuriously equipped. 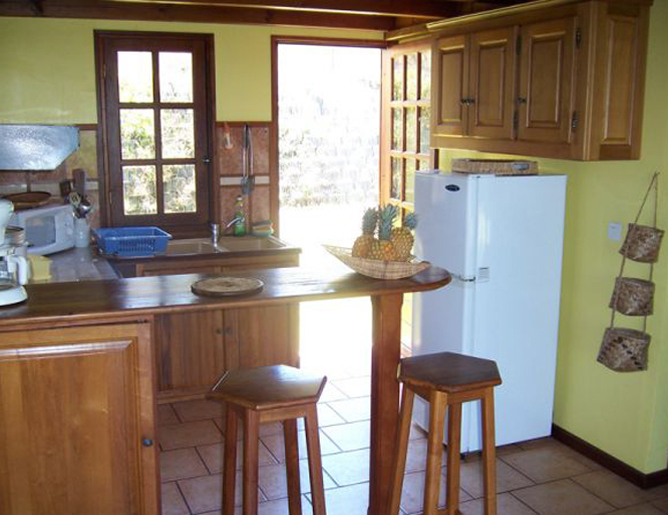 Creole furnitures in teck and purple wood. 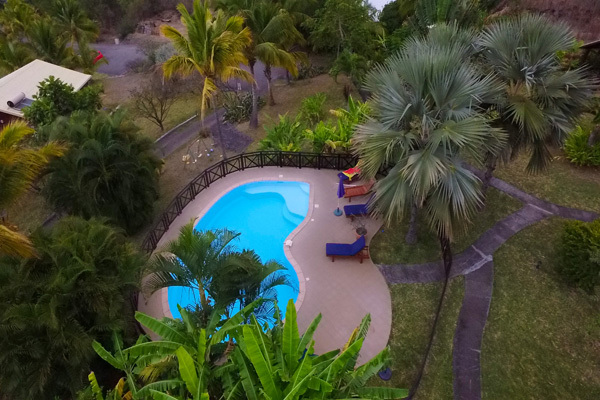 Interested by our gites at Reunion island ?